Imagine a world where your biggest supporter was your contract manufacturer. Dynamic Blending is reinventing the way manufacturers view their client relationships. Which is why we’ve created project IGNITE. Typical contract manufacturers don’t really care once your product leaves their facility. We do. We understand at the deepest level that if you grow, we grow with you. Project Ignite is a comprehensive tool to help our clients achieve success. We are excited to share and facilitate these key resources to Ignite your brand in this competitive industry. Check them out below! 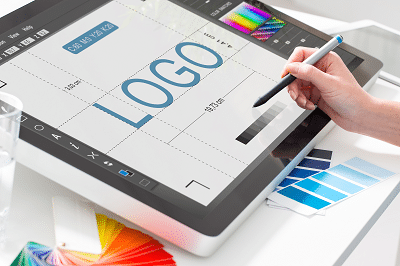 We have created an in-house graphic design department to help close the gap and speed up time to market. Time and time again our clients have issues with their graphic designer which results in costly delays. Our design team is extremely talented and experienced in designing for cosmetics, skin care, personal care, dietary supplements and other industries. Their design ability has continued to amaze each and every client. We offer graphic design at a very competitive discounted rate. Think how fast you could get to market with everything under one roof! Contact us today for more details on cost and how to get started. We have partnered with nfinity web, a top web design agency to offer amazing discounts on their web services. If you need a website, or have a website that needs updating, nfinity web is the agency you want. 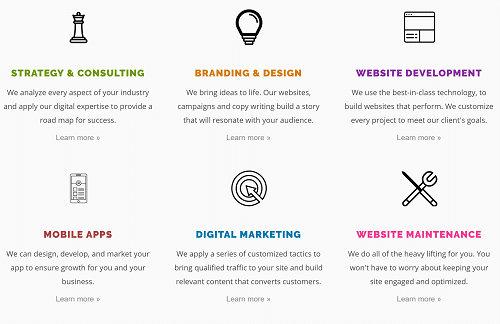 By joining forces with nfinity web, our clients will have an amazing web agency on their team. Having a good web presence is everything these days, especially for your brand. nfinity web will work directly with our graphic designer to ensure all areas of web and graphic design are in sync. Ask us about the discount! We’ve partnered with 4 key industry brand consulting firms. Each one of these firms bring unmatched experience in all areas of brand building. These firms have worked for the largest brands in the beauty industry. They know a thing or two about branding! For our clients that are interested, we will initiate a project kickoff call with the brand consultant of your choice. This will be a key part of Igniting your brand! Contact us for more details. Another key part of Project Ignite. Amazon currently sells over $150 million per business quarter in the skin care category alone. This doesn’t reflect hair care, oral care and other popular personal care categories. We are an affiliate for an amazing service called Viral Launch. Viral Launch gives your brand the ultimate tools to compete and launch a successful product on Amazon. By doing this, we have a custom promo code for our clients to save 20% off Viral Launch services. Ask us for more details about how Viral Launch can help your brand on Amazon. This is huge for any brand looking to sell on Amazon! In an effort to further provide the tools and resources needed for brands to succeed, We have created a joint venture program. The joint venture program is designed to help bring indirect financial benefits to clients who qualify. By joint venturing with us, our clients will see massive savings with Research & Development, per unit costs, priority manufacturing, and much more!